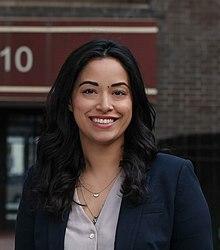 Carlina Rivera is the Councilwoman for the 2nd district of the New York City Council. She is a member of the Democratic Party. The district includes portions of the East Village, Gramercy Park, Kips Bay, Lower East Side, Murray Hill and Rose Hill in Manhattan. On Wednesday, January 30th, City Councilwoman Rivera visited Mr. Kaplan's Government and Politics class. She spoke about the role of local government and how it impacts life in our community. 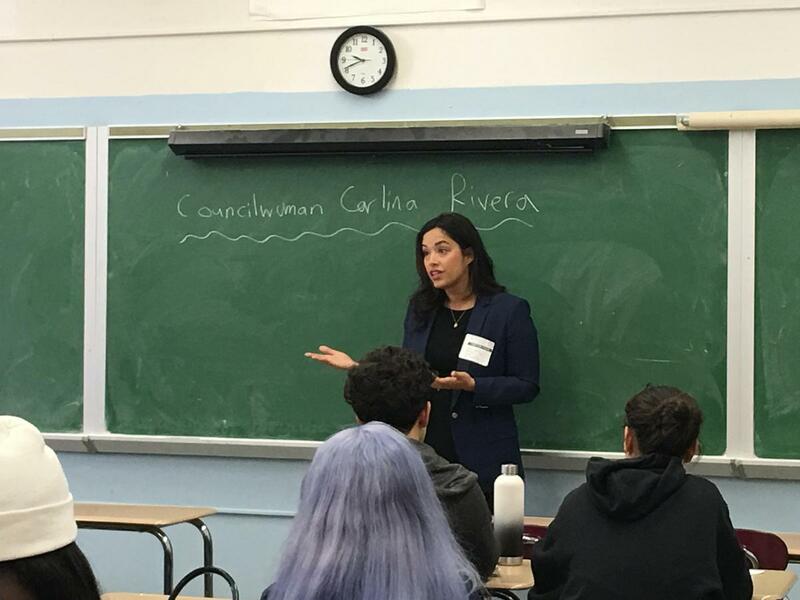 As lifelong resident of the Lower East Side, many students connected with Ms. Rivera and were inspired to get involved in causes that they are passionate about. The HPHS community is honored that Councilwoman Rivera took time out of her busy schedule to meet with our students.